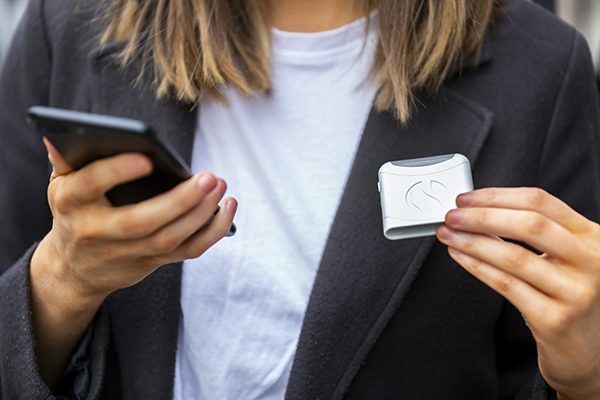 AIRE is a mini breath analysis device. 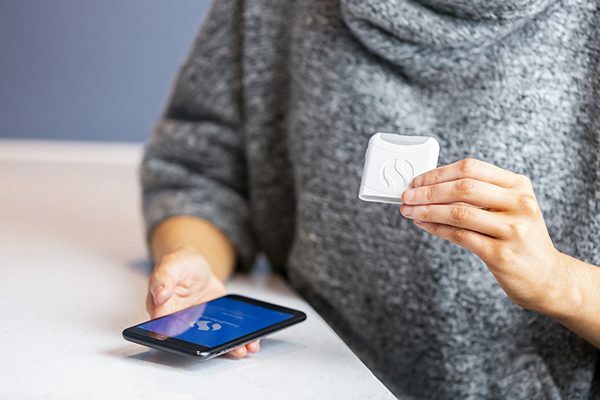 It functions as your personal digestive tracker, allowing you to measure how well you absorb your food. You may have heard of FODMAPs, which are sugars that are particularly hard to digest. When you don’t fully digest food that contains FODMAPs, it ends up in the large intestine. There, it’s fermented by bacteria, which generates gasses. Over the day, these gasses can build up and lead to pain, bloating and other digestive issues. It’s useful to know which foods are causing uncomfortable levels of fermentation, because you may not react to all FODMAPs. Fortunately, fermentation creates hydrogen, which people don’t naturally produce. This means that we can measure the hydrogen on your breath to see how much fermentation is happening in your gut. Hospitals have been using this hydrogen breath testing technique for many years, which was the inspiration for AIRE. You can find out more about FODMAPs and hospital-based hydrogen breath tests in our last blog post. With your AIRE, you’ll receive four FODMAP sachets containing lactose, fructose, inulin and sorbitol. The AIRE app allows you to do “Food Challenges” with these and other isolated foods. These structured tests are a lot like hospital-based testing. You can use the information from them, along with the app’s Food Search feature, to see which foods you may not digest well. 1. 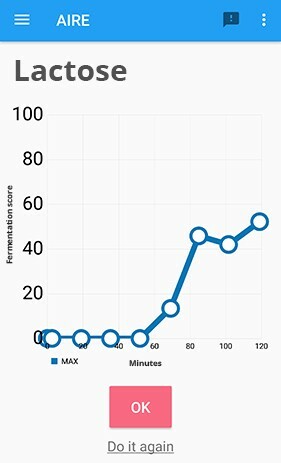 Prep: It’s important that nothing else in your digestive system is affecting your breath readings, so you should fast overnight (at least 12 hours) and do your test in the morning. You also shouldn’t eat during the testing . This ensures that changes in your hydrogen levels are from the food component you’re testing. 2. 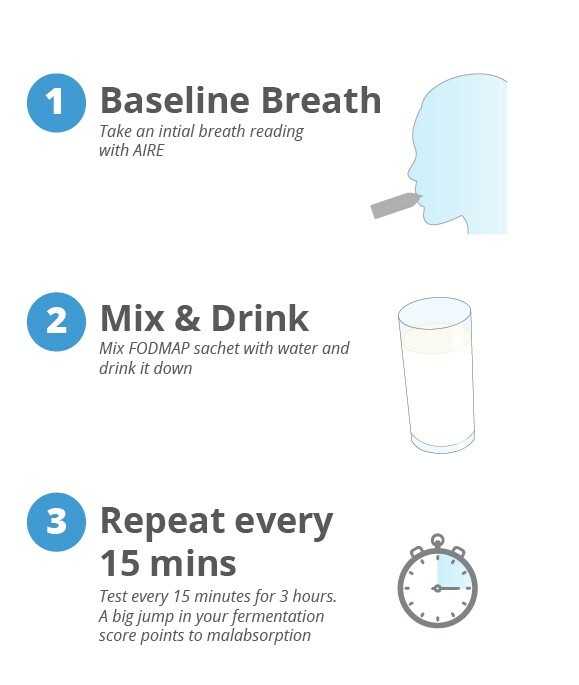 Baseline breath test: Take your first breath test before consuming the food component to get a baseline level. AIRE will give you a fermentation score between 0 and 100. Your first reading should be low after fasting the night before. 3. 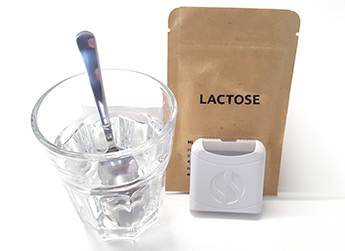 Consume the food component: If testing with one of the FODMAP sachets, mix it with about 200ml of water, then drink. The mixture tastes like sweetened water (after all, FODMAPs are just natural sugars). 4. 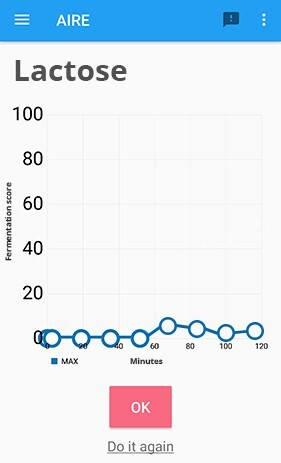 Regular breath tests: After logging the food component you’re testing, the app will prompt you to take breath tests every 15 minutes for three hours to track how your hydrogen level changes as the ingredient passes through your digestive system. Here’s an example of someone who didn’t digest lactose well. There’s a rise in fermentation about 60–90 minutes into the test, when the undigested lactose reaches the large intestine. On the other hand, here are test results from a person who was able to digest the lactose . There’s no obvious rise in breath readings over the course of the test. Some people convert part of the hydrogen in their gut into methane, so it can be useful to measure this. We had hoped to ship the first generation of AIRE with both hydrogen and methane testing, but currently the device only measures hyrdogen. There are some cases where all of a person’s hydrogen converts to methane, but these are rare. Hydrogen is the most important measurement in the large majority of people. 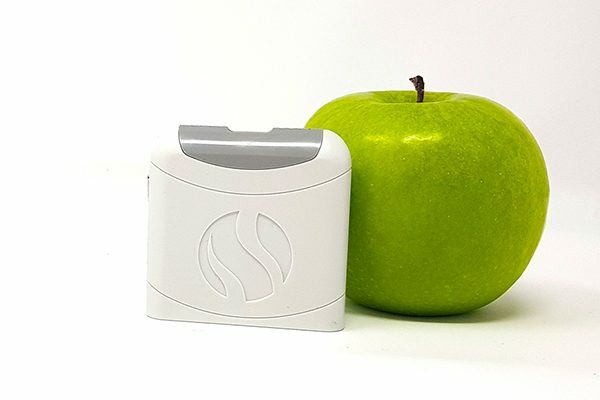 We’re excited to give our backers the chance to measure their response to FODMAPs. However, if you know that you are intolerant to one or more specific FODMAPs, you may want to skip that test. You can still do Food Challenges with single foods, and also use AIRE to track how your fermentation varies after regular meals. AIRE isn’t a replacement for medical care. It’s more like an activity tracker for your gut — a companion to help you achieve a balanced diet that also makes you feel good. If you have any doubts about consuming FODMAPs, you should always consult your doctor or dietician first, especially if you’re a diabetic or have been diagnosed with a specific medical condition.